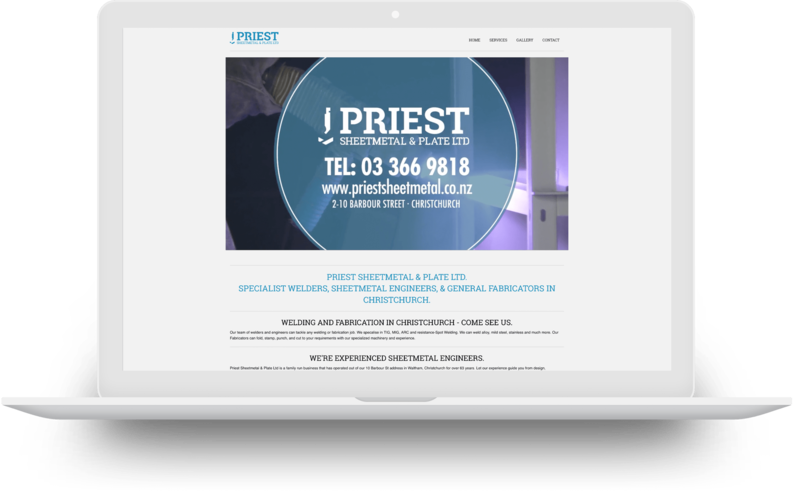 Priest sheetmetal site on an iphone. This set of photos is for a website header banner, the images were a specifically wide ratio and showcase the reality of a sheetmetal factory to show authenticity and convey trust that the workshop has multiple machines and they are ready to handle all your needs. 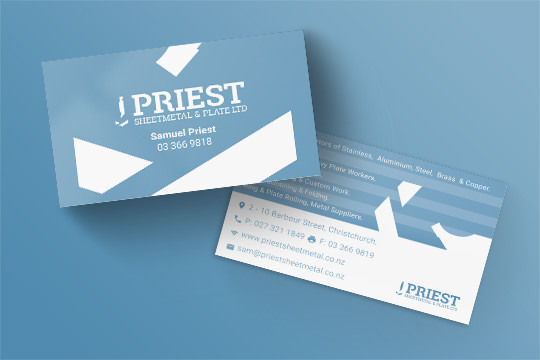 As we have gone througha few versions of business cards for Priest we have landed on a modernist front with a bold logo and a large amount of the bright blue primary color and then an information dense back to give potential customers a list of services available as Priest have a large number copared to many of their compeitors as well as a number of contact points for the front desk as well as the employee on the card.